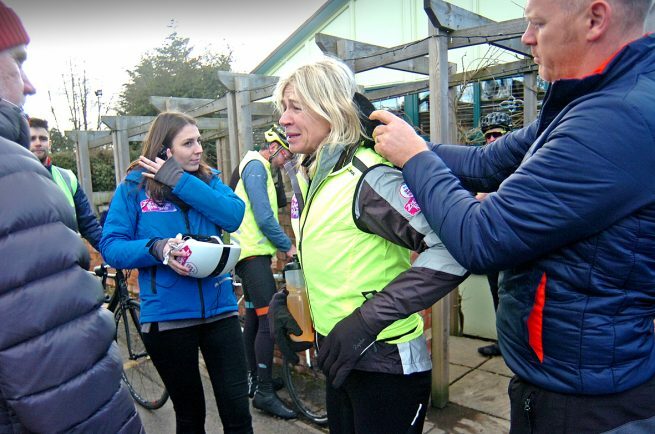 TV AND RADIO personality, Zoe Ball, cycled her way through Bromsgrove and Alcester on Wednesday as part of a gruelling 350-mile charity challenge. 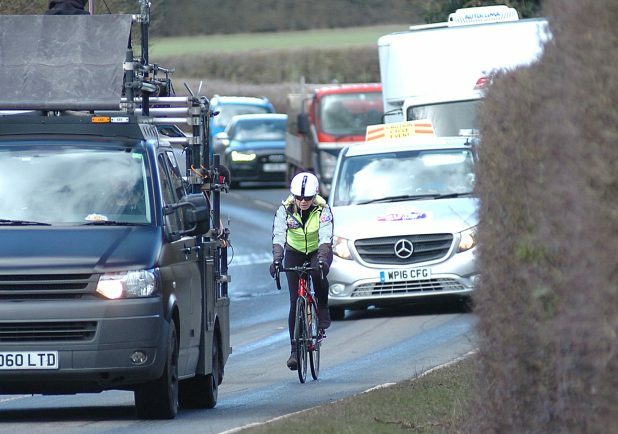 The 47-year-old, who was the first female host of The Radio 1 Breakfast Show, put her foot to the pedal for the BT Sport Relief Challenge: Zoe’s Hardest Road Home. 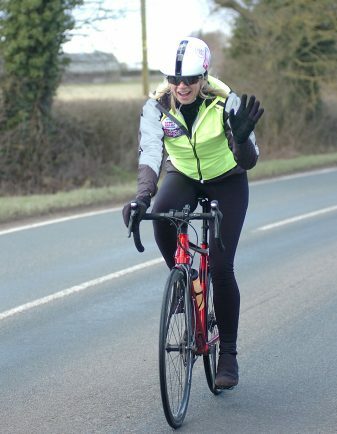 The five-day challenge has seen Zoe cycle from Blackpool, her place of birth, towards her beloved hometown of Brighton to raise money for Sport Relief. With one in four people in the UK experiencing a mental health problem over the course of a year, she hopes to raise awareness of a subject close to her heart and one of the issues tackled by Sport Relief cash. Day three (on Wednesday) saw Zoe travel from Upton Magna to Straford-Upon-Avon, passing through such places as Alcester, Belbroughton, Fairfield, Stoke Heath and Hanbury. With the challenge getting tougher and fatigue setting in, Zoe was joined by McFly drummer, Harry Judd, who cycled alongside to encourage and motivate her to tackle the day’s tough climbs. Zoe, who has raised £84,375 so far, said: “I’ve been training my heart out for the last few weeks in preparation for this epic challenge. “Knowing that every penny we raise will make such a difference to so many different people’s lives is a great feeling. “I am joined by my incredible family and friends, who have been pushing me along the way.